Cycling Southland confirms the appointment of a new CEO to take cycling in Southland to the next level of opportunity. Cycling Southland President Stephen Canny said he was very pleased to announce the appointment of Nick Jeffrey as Chief Executive Officer of Cycling Southland. 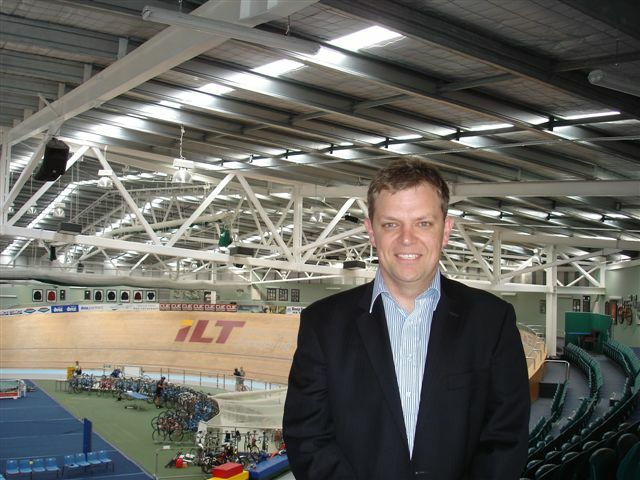 Canny said that "the sport in Southland has experienced unprecedented growth since the establishment of the ILT Velodrome and a wider range of skills was required to meet these positive challenges. We need to consolidate that growth and continue to develop new initiatives to take the organisation and the sport to new heights. Nick is currently the General Manager for The Radio Network in Southland and is the successful candidate from a very strong field of applicants" Canny said. Nick Jeffrey has over fifteen years experience in broadcast media in Southland. During this time he has fulfilled the role of announcer, Programme Director and Operations Manager, responsible for the on-air programming as well as being a shareholder and company director of Southland's Hokonui Gold Radio Station. Since 2004 he has been Southland Sales and Operations Manager and in more recent years has been General Manager, overseeing The Radio Network's multi-million dollar operation in Southland, Queenstown and Balclutha. Nick has a passion for sport and has been actively involved in sports media, having commentated on international netball and representative rugby, cricket and netball for Radio Sport and Newstalk ZB and he has interviewed many national and international sporting identities for weekly Sports shows. He brings a strong commercial and technical focus to the role along with extensive leadership, marketing, communication and networking skills. He is Southland born and bred who next month celebrates his tenth wedding anniversary with wife Lisa and has two budding national cycling champions; Matthew (6) and Anna (4). Steve Canny said that "there has been a tremendous increase in the range and number of events now hosted in the south and this has created a strong road, track and general bike sports focus. The increased profile of the sport at a local and national level has also placed demands for further rider development programmes requiring a need to utilise the specialist skills of existing staff. The appointment of the CEO will mean that Cycling Southland can take the sport to a new and exciting level and work to its potential. Since the development of the ILT Velodrome over the past three years, Cycling Southland has experienced immense growth in numbers participating and in the number of activities that we conduct. The next period for Cycling Southland promises to be an extremely exciting and busy period, as we work towards the Junior World Track Championships in 2012".